From what I've seen at local shops and from what I've heard online, Mega Construx's just-launched Pokemon line has been selling better than any other theme, by a long shot. I personally contributed to this in my own small way by buying up one of each of the single-figure packs, and I decided to just review all of them in one video. 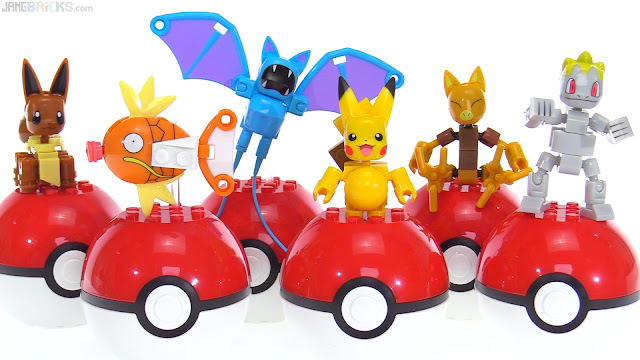 Video: All Mega Construx Pokemon Series 1 Pokeball figures reviewed!